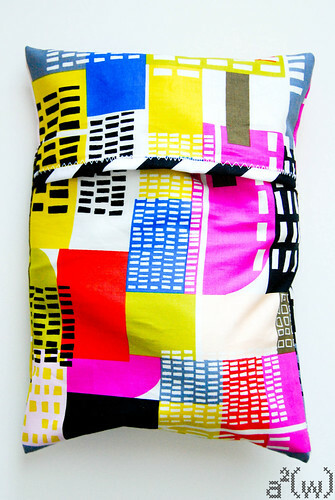 Today's Holiday Tutorial is by Ali from a squared w. Ali's blog is a fun read, she's a darling red head who loves to travel, take pictures, sew (of course!) and the color yellow! 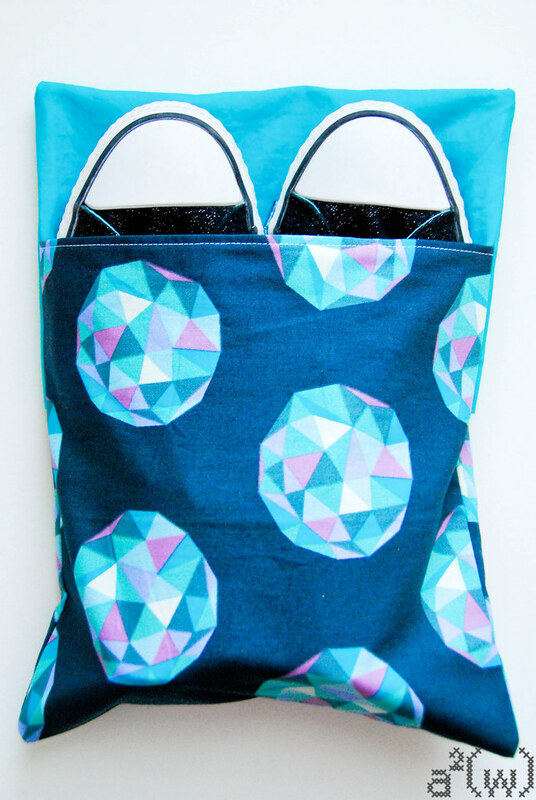 She's got a lot of great tutorials, patterns and finished work! 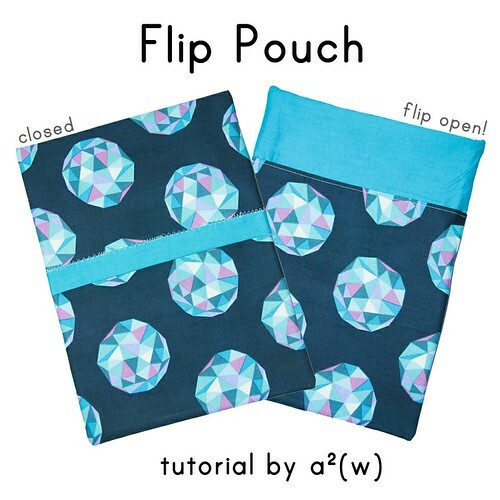 Thanks so much to Ali for her awesome Flip Pouch tutorial!! 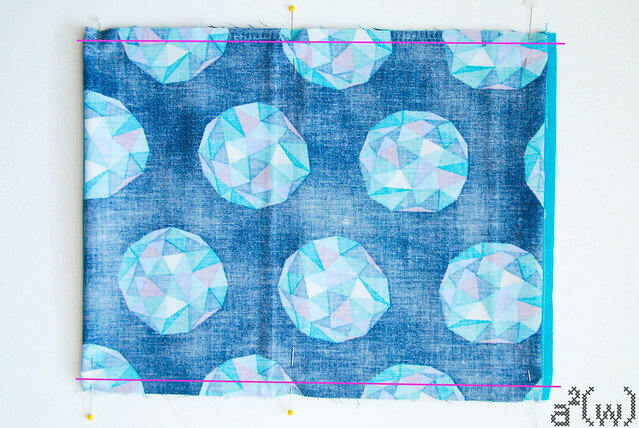 - Lay the tube on your cutting mat with Seam 1 lined up in a grid line and the wrong side of 9.5" lining square facing to the left. 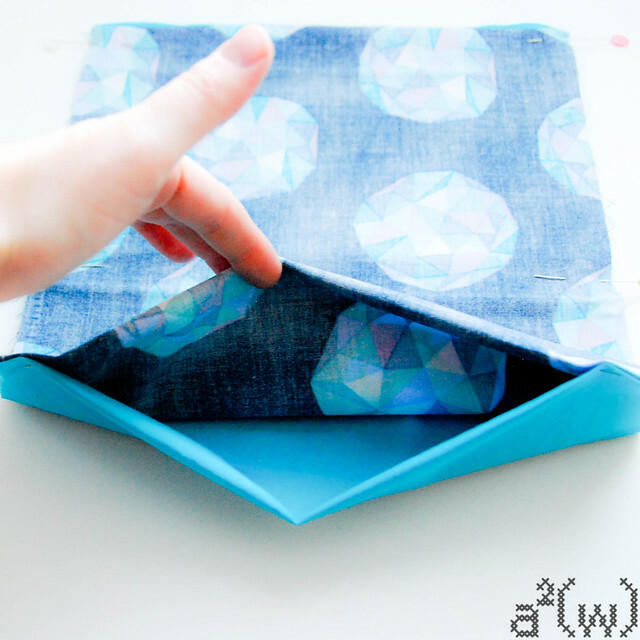 - Fold it back at Seam 2 so that you create a pocket. 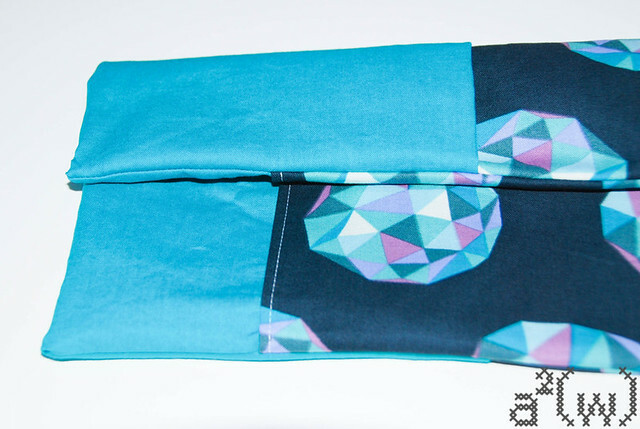 The next fold should line up with Seam 1 on the grid line. - Measure 12" from Seam 1 and mark the layer on the cutting mat (Mark 1). Measure an additional 5.5" from this point and make another mark on the bottom layer (Mark 2). -We are going to be making a second pocket on the left side of our tube. Fold the fabric toward the right at Mark 1, then back to the left at Mark 2, making sure that this is on top of the first pocket. Pin! - The last fold should align with the fold at Mark 1. Pin. Pin. Pin. My guess is a bologna sandwich. Actually I was thinking a stuffed animal. Looks like a small child. Cute bag. My guess is all you need to make some of your own bags and that lumpy area is the rolled up Velcro. My guess is a hairdryer. I love this little bag and I tried my best to follow the directions. I ended up with a big mess ball of fabric. For some reason I just don't think I did it right. Is anyone else having trouble following the instructions? I asked the best seamstress I know to try and she couldn't understand them either. Please help! Would it be possible for you to make a video of the layout? Thanks for the help.